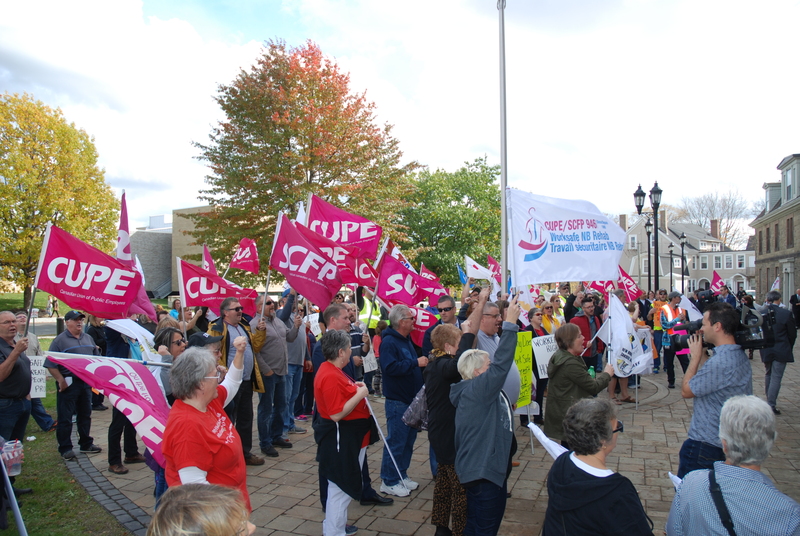 While the NB Legislature was reopening Tuesday, CUPE NB members were outside holding a protest for the rights of injured workers, union members denounced recent cuts to the workers’ compensation fund. “WorkSafe NB was created for people, not profits,” said Daniel Légère, President of CUPE NB. 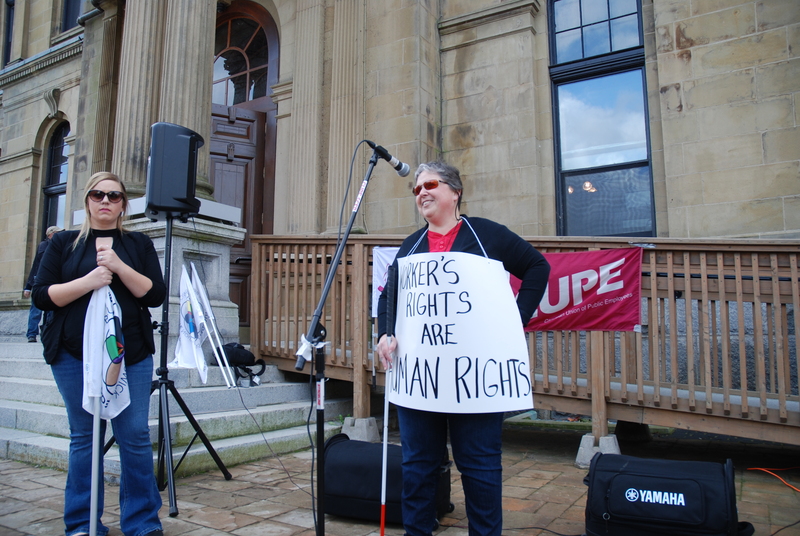 “The CEO of WorkSafe NB is doing like McKenna: Underfunding the very system created to protect injured workers and their families. We have yet to come back from the 1992 cuts,” said Légère. Earlier this year, WorkSafe NB had announced its intention to make a necessary increase in the rates collected from employers to ensure sustainability of the workers’ compensation fund. Business interests lobbied against the measure, and WorkSafe NB’s Board of Directors buckled. On October 2, 2017, they announced a meagre 22 cents increase per $100 of payroll. New Brunswick’s rate ($1.70 per $100) is amongst the lowest provincial rates in Canada. “This month, WorkSafe NB’s Board of Directors even admitted they are far from even meeting basic operating costs to manage the workers’ compensation fund. Simply maintaining the fund would have required an additional 23 cents increase ($1.93 per $100 of payroll),” said Légère. As long-term sustainability of the fund has been jeopardized by WorkSafe NB’s Board or Directors, CUPE NB is worried attrition, cuts and even privatization, might be on the horizon. “Our own members, CUPE Local 1866, which represents members working at WorkSafe NB, see the unnecessary harm being done to individuals and their families. The public needs to know what is going on,” said Légère. Expediting the claims process by hiring more front-line staff at WorkSafe NB.